A new novel, The Fifth Knight, that’s released today is just the thing for National Short Story week. You may be thinking that a novel isn’t really appropriate for National Short Story week – well, this one is. It’s released as a 6 part serial – every fortnight a new episode will be published until the ebook is complete. So it will feel like you are reading short stories that weave together to tell a single tale. I’ve had a sneak preview of the novel and I was captivated by Sir Benedict, the knight the title refers to and his feisty companion, Sister Theodosia. The book is a fast paced story that provides a new twist on the story of Thomas Becket’s murder. 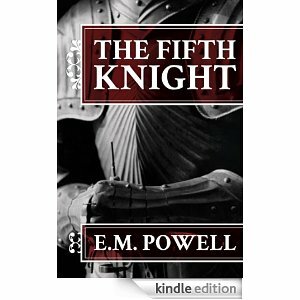 I wholeheartedly recommend this novel and, if you need an excuse to add another ebook to your collection, National Short Story week is the perfect time to treat yourself to the first episode of this serial, The Fifth Knight. 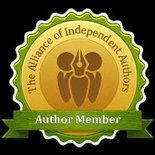 This entry was posted in November 2012 and tagged E M Powell, historical fiction, Kindle serials, National Short Story week, The Fifth Knight, Thomas Becket. Bookmark the permalink.